On May 22nd, 2017, eight hundred students streamed through the doors of U-32. 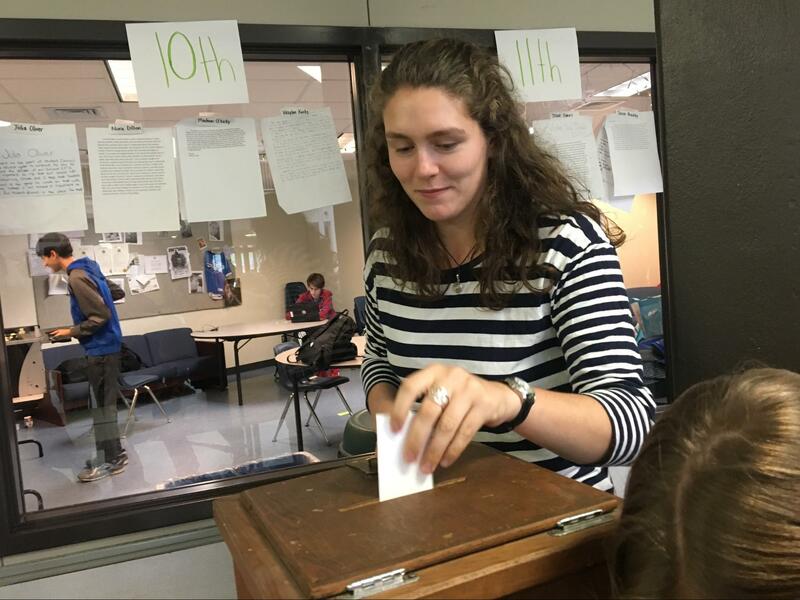 Kids slipped strips of paper into cardboard boxes, casting their votes for the next year’s Student Council. 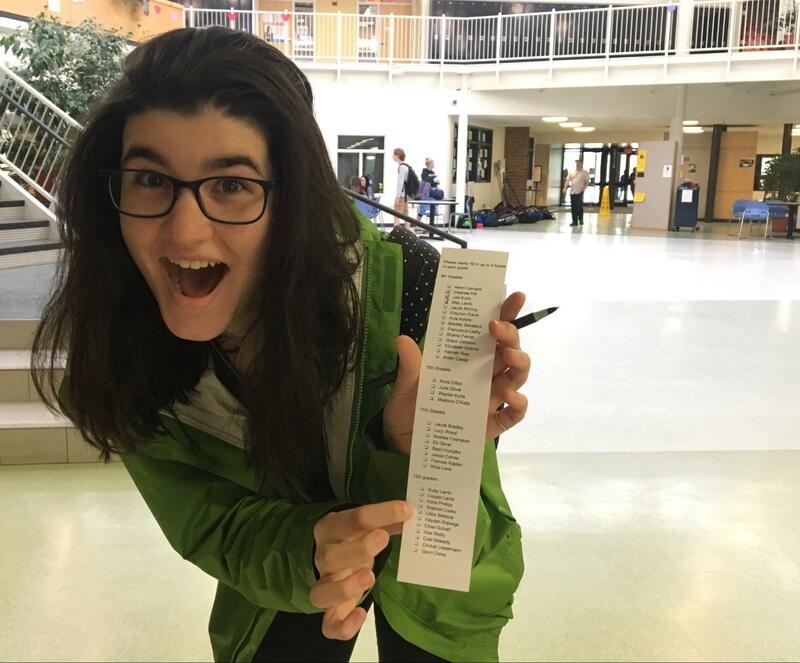 Until voting day, these students didn’t know the names of their potential representatives. “A lot of people are running as a joke,” observed senior Gavin Deiss. He was running because Student Council is “totally swag, dude.” Gavin filled out a form with 25 signatures from his friends, and his name was put on the ballot. While many candidates have sincere intentions, others are running to build their resumes or to have a laugh with friends. An election system based on personality rather than issues has created a Student Council that seems to be drifting without a direction. Members aim to be more than event planners, yet the major accomplishments of the past few years have been blood drives, pep rallies, and community service projects, such as the Senior Community Outreach Project (SCOP). These are big events, but change little in the life of an average U-32 student. A voting process without substance also creates an apathetic student body. In the last two years, only two students have brought proposals to the Council. But there is obvious frustration in the student body. Students are concerned about Chromebooks, Callback, backpacks in the lunch line, proficiency grading, etc..
Student Council members should see these issues, and take the initiative to address them. Our current problems can be traced back to that one spring day, every year, when an uninformed student body votes on candidates who have no platform. With a few easy changes to the election process, we can elect a stronger Council. Have candidates make posters, announcing the issues they feel passionate about. Use the Chronicle to interview candidates– learning their stances on issues ranging from backpack rules to Callback use. Ask Social Studies teachers to use class time to anonymously evaluate candidate’s platforms. The teachers already support this. Set aside class time for voting. Hang the platforms of elected students on the Student Council bulletin board. Members will be held accountable for their stances. A broader range of students will vote. After the election, students will know what their Council has promised to work on, and can be confident they have representatives that are aligned with the needs of the entire student body. Student Council will have a clear direction, and the students will trust they are being heard. If you would like to see these five steps accomplished for this year’s election, please sign the petition below. The petition will be presented to the Student Council later on in the school year. In the meantime, our Student Council is happy to hear from students. You don’t have to be on the Council to influence the work it does– they meet every Wednesday at 7:00am in Kit Walker’s room. If you support the above reform, please sign this petition.